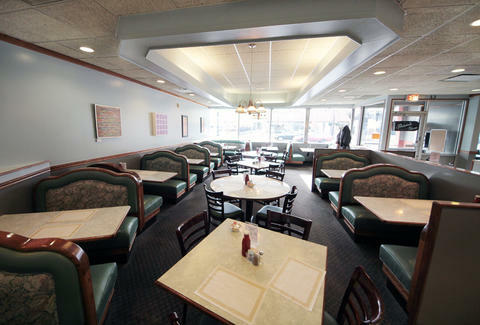 Proving Greeks haven't quite cornered the market on diners, Egg Head's combining the feel of a classic salt and pepper joint with a little Mexican flavor, as the owners hail from Michoacán, which is not Spanish for Michigan. The house specialty is chilaquiles, which is Spanish for “Goat Sucker.” No wait, that’s Chupacabra. 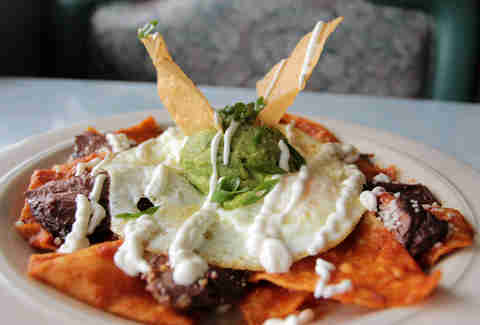 Chilaquiles, aka “tortillas in sauce,” are topped here with fried eggs, skirt steak, cheese, sour cream and guacamole. 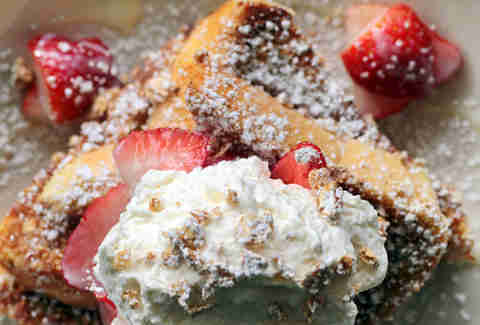 This French toast is crunchier than a Phish show thanks to a granola crust that plays against strawberries and homemade whip cream. 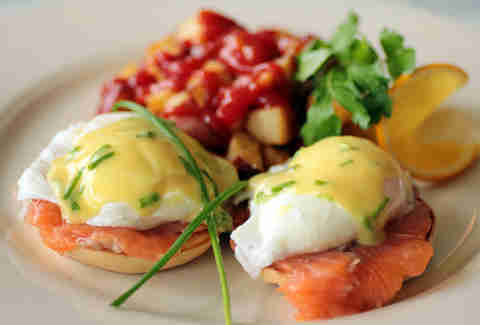 Dubbed The Seattle, this benedict topped with house-cured salmon takes its inspiration from, well... Nevermind. Ever try to wrap your lips around Sofia Vergara? 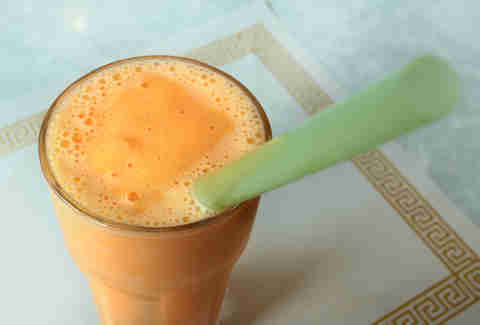 Don't worry, this fresh mango smoothie version is incapable of filing a restraining order.